Ask Karl Lagerfeld who “la Parisienne” par excellence is, and he will tell you: Inès de la Fressange. She has the effortless chic of the Parisian that everybody envies her for. Here is her style guide: a must have. “Parisian Chic” is the title of Inès de la Fressange’s book, France’s icon of chic, muse to designers, ex-model and still role model. I bet it will be a style bible for the coming generations. “You don’t need to be born in Paris to have Parisian style”, she declares on the first page. Isn’t she sweet? No matter where you were born, if you’re living in the jungle or in the desert, there is hope for every one of us. Because anybody can become a true Parisienne. Just listen to Inès and respect her advice. Like what? Like: coordination is a crime – mix it up and show your free spirit. In other words: avoid outfits with Prada from head to food. Or like: bye-bye bling. You remember? The bling-bling President with his bling-bling wife? (Cecilia, the one before Carla, of course). This is definitely out. Better: it has never been in. You must never look rich. And: glitter and logos are definitely NOT the thing for the Parisian. Actually, the tips Inès gives here are not new at all. She has been providing them for ages for friends and friends of friends and all the women’s magazines that ask her every once a while to name the Do’s and the Don’ts. Inès is a very generous person and therefore she loves to help out and give advice. Why don’t we put all these things together to a lovely book, she might have thought? Excellent idea. Here you have everything to need to know to catch the gaze of others on a terrace of a Paris café. No matter how young or old you are. Inès tells us that jeans never go with sneakers, but with gem-encrusted sandals. That a pencil skirt is nice, but not with high heels. Go for ballet flats. Wear a sequined sweater with men’s trousers. Wear your pearl necklace, but not with a simple shift dress. It’ll have a much better effect with a rock’n’roll t-shirt. Try a tux jacket with sneakers and not with femme fatale stilettos. Got the message? The true Parisienne is where you don’t expect her. She loves to surprise, she is unconventional. By the way: Inès de la Fressange is a fifty-something. But she doesn’t look like her double from Madame Tussauds. Botox? Not for her. “Be nonchalant and forget your age”, she recommends. If you see wrinkles, just step back from the mirror. Could ruin you mood and a bad mood will cause more wrinkles. 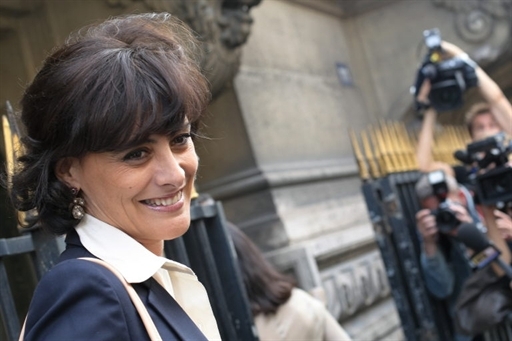 It seems to work: Le Figaro just crowned the 53-year-old model France’s “most chic woman”. And the other day Inès walked down the catwalk for Chanel. It was the first time in twenty years. “Parisian Chic” is a treasure trove for good advice and handpicked addresses. It shows the power of understatement. So chic! So Parisian…. 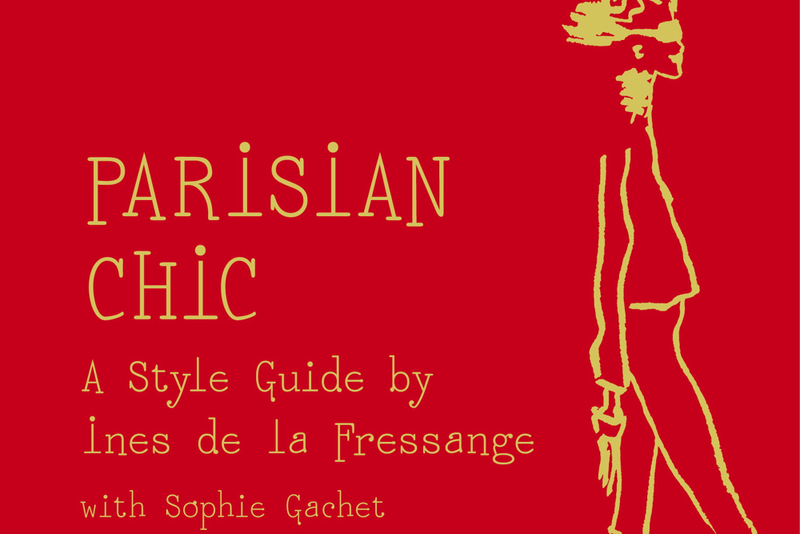 A style guide by Inès de la Fressange - with Sophie Gachet. Translated from the French by Louise Rogers Lalaurie.